As building trends continue to evolve and progress, more and more people are realizing the practicality of designing a home to fit every lifestyle. Universal Design is a building concept defined as; taking a homeowner’s specific needs, desires, and lifestyles into account to create a modified home design that caters to those needs. These modifications are based on how one uses the house and can span from making a home a single level for mobility issues, to changing the shape of a door knob to better fit the hand. While the concept of Universal Design is one that has been around for decades, it is a trend that is only just recently being considered more in the residential industry today. What are the Benefits of Universal Design? Universal Design is all about designing a home that makes sense and is practical for all of its inhabitants. This concept can benefit all individuals, no matter their age, whether they have a disability, or if they are retired or working. Another common trait of Universal Design is to consider not only your current lifestyle, but your future lifestyle as well. By doing this, Universal Design helps you plan a home that is accessible, functional, and barrier-free. Why Does Timber Framing Work Well with Universal Design? Timber Frame homes are traditionally known for their flowing, open spaces and minimal use of interior load-bearing walls. 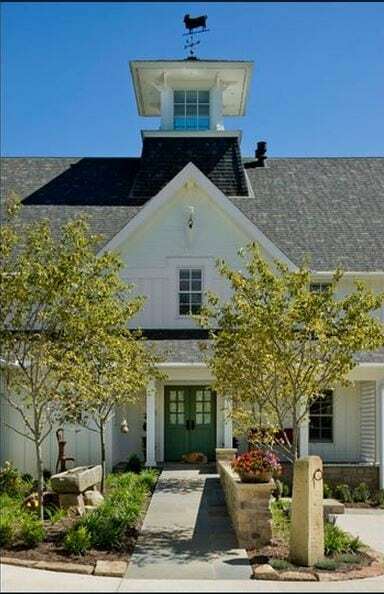 Universal Design’s more common concepts include wider doors and hallways, as well as larger kitchens, bathrooms, and bedrooms—all of which fall in line naturally with the spacious attributes of a timber frame home. There have been several past Riverbend clients who have had specific needs that could be addressed with Universal Design. For Ed and Deborah, Universal Design played an integral part in the creation of their Ohio homestead’s layout. Deborah is a double amputee who has great mobility within her wheelchair, provided she has the space to move around. So, the couple wanted to make sure their three-story dream home’s layout would be completely accessible to her. By incorporating several Universal Design concepts, including an open layout, no step entry, an elevator, and inset cabinets under sinks and countertops, the couple was able to achieve the house of their dreams while accommodating for their lifestyle. 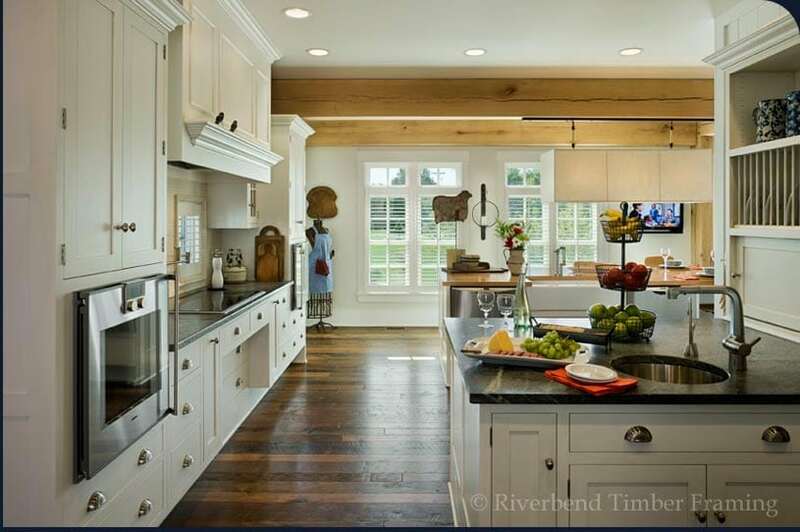 For more information on customizing your Riverbend home design, take a look at our Design Process.